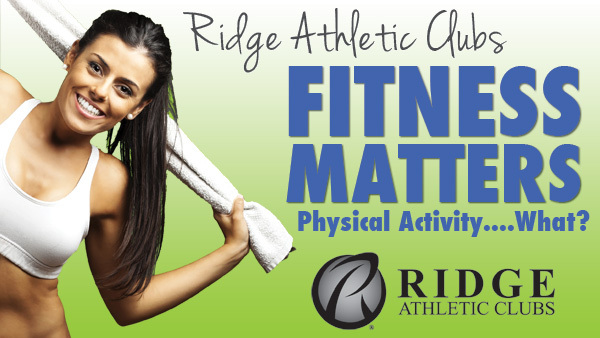 What is the difference between physical activity and exercise? Why should we be physically active? What are the benefits? These are very common questions I often hear regarding physical activity and exercise. What is it? Physical activity can be defined as any movement that expends energy. Exercise is a type of physical activity that is planned, structured, and repetitive for the purpose of improving or maintaining physical fitness. What are the benefits? There’s tons of evidence on the benefits of physical activity. For example, daily physical activity can have positive impacts on mental and physical health (e.g., depression, anxiety, social acceptability, cholesterol, weight, blood pressure) and fitness-related (e.g., muscular strength/endurance and cardiorespiratory fitness) components. What to do? The Department of Health and Human Services recommends at least 150 minutes/week of moderate-intensity physical activity or at least 75 minutes/week of vigorous-intensity aerobic activity. Resistance training, or weight lifting, should be performed at least two days/week to improve muscular strength. We all start at different levels. The key is to simply start being active – get moving every day. Some physical activity is better than none!! !